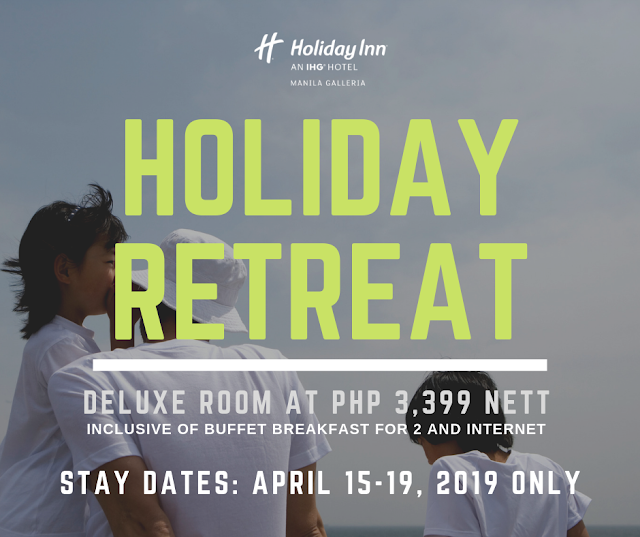 Enjoy simple pleasures this Lent with Holiday Inn Manila Galleria Staycation between April 15 and April 19, 2019 for only P3,399 nett per night. This comes with buffet breakfast for 2 and internet access. Call Holiday Inn Manila Galleria at 633-7111 or email higm.reservations@ihg.com. Terms and conditions apply.